Regulatory Genomics Toolbox is a python library and set of tools for the integrative analysis of high throughput regulatory genomics data. This library has been used for implementation of several tools as ChIP-Seq differential peak callers (ODIN and THOR), DNase-Seq footprinting method (HINT) and the visualization tool RGT-Viz. It is implemented in a object oriented fashion in python including basic infrastructure for manipulation of genomic data. This project is developed and maintained by Computational Biology and Bioinformatics Research Group, RWTH University Hostpital. If you have any questions/comments/problems, please access our discussion group. 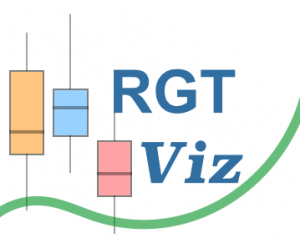 Regulatory Genomics Toolbox (RGT) is an open source python library for analysis of regulatory genomics. RGT is programmed in an oriented object fashion and its core classes provide functionality for handling regulatory genomics data as genomic regions and genomic signals. All tools listed in this page are based on RGT core classes. 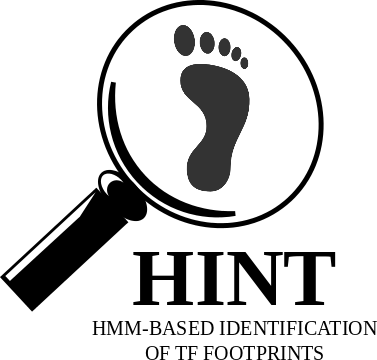 HINT (Hmm-based IdeNtification of Transcription factor footprints) is a framework for detection of DNA footprints from DNase-Seq and histone modification ChIP-Seq data. HINT is the first approach integrating both histone modification and DNase I hypersensitivity data for detection of transcription factors in open chromatin regions. Motif Analysis tools allows the search of motifs with binding sites enriched in particular genomic regions. These tools can be used for detection of potential co-binding partners of a transcription factors (as provided by ChIP-Seq peaks) or inside open chromatin regions. ODIN and THOR are HMM-based approaches to detect and analyse differential peaks in pairs of ChIP-seq data. ODIN/THOR are the first differential peak caller that performs genomic signal processing, peak calling and p-value calculation in an integrated framework. ODIN only supports analysis of data without replicate. For differential peak calling with replicates we advised the use of THOR. Triplex Domain Finder (TDF) statistically characterizes the triple helix potential of RNA and DNA regions. For a candidate lncRNAs and potential target DNA regions, i.e. promoter of genes differentially regulated after the knockdown of the lncRNA, our method test if particular RNA regions are likely to form DNA binding domains (DBD). Moreover, the DNA binding sites from the predicted DBDs are used to indicate potential target DNA regions, i.e. genes with high binding site coverage in their promoter. TDF provides two distinct statistical tests: the promoter test, which can be used to evaluate the triple helix potential in gene’s promoters, and the genomic region test, which can be used to test triple helix potential in a given set of genomic regions. The command line tool provides results on a user friendly and graphical html interface.